SimpliSafe is another pre-fab home security system that offers some surprisingly low monthly rates for their services. An out-of-the-box option, SimpliSafe cuts back on the installation fees as well, saving homeowners a lot of money over time. Overall it offers simple DIY installation, solid equipment, and some top-notch warranties. A 5-piece set, the Starter Package has one base station, wireless keypad, motion sensor, entry sensor, and keychain remote. The most basic package, this one runs $229.96 and includes the decals, yard sign, batteries, and all mounting hardware necessary. Pay just $30 more ($259.95 total) for two more entry sensors. The next package jumps up to $349.92 and includes everything from the Economy Package plus an extra siren and a smoke detector. The Master Package costs $449.87 and comes with 14 pieces: base station, 2 keychain remotes, wireless keypad, 6 entry sensors, 2 motion sensors, one extra siren, and one smoke detector. This equipment package costs $539.85, and comes with everything from the Master Package with the addition of a panic button, water sensor, CO2 detector, and freeze sensor. Note that the Ultimate package comes with four entry sensors instead of six. SimpliSafe also offers refurbished systems for homeowners who want to save a little on the equipment. Customers can save 25%-30% on these purchases, and all equipment is covered under the same warranties as the new products. The SimpliSafe event response is fairly standard. When a sensor is triggered, the main control panel sends an alert to the monitoring center. One of the security monitors will contact you immediately and notify the appropriate local authorities if you do not answer or if the safe code is not provided. With the interactive plan, customers can control the system from their Android or iOS smartphone app wherever they are. You can receive notifications, monitor temperatures, check on statuses, and arm or disarm the system from your phone. Multiple code entries. This, for example, allows you to give your kids, babysitters, dog watchers, etc. their own codes so that you can track the time and dates they enter your home. System setup is fast and easy, as any out-of-the-box solution should be. There are no wires or phone line connections to deal with, so homeowners can really take care of the setup on their own. Just plug it in, and voila, you are ready to go. SimpliSafe has some of the best guarantee offers available today. The first is a 60-day money back guarantee. If you don’t enjoy the product, you will receive a full refund. They also provide a 3-year product warranty on all parts and equipment. This is shorter than some of the competition like Protect America or Vivint, but considering the other benefits, it is hardly a consideration. SimpliSafe provides phone and email support. Their website also provides a vast array of information about their system. Downloadable owner’s manuals are available on the site, or you can browse the help center FAQ section for self-help troubleshooting. Customers can also reach out to other clients with questions or read about their experiences via the User Forums. 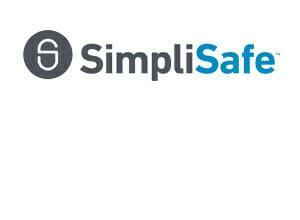 SimpliSafe offers highly competitive rates for their home security services. There are no hidden fees, no activation or installation charges, and multiple guarantees, making them a logical choice for homeowners looking for a quality system that won’t break the bank. The systems are flexible and thorough as well, providing as many or as few options as you like. There are also no contracts tying you to SimpliSafe, so you can cancel at any time. Multiple code entries for guests, etc.